A recent foray into the woods at Castle Espie WWT Centre threw up an unexpected result. I had been there to shoot some video of Brent Geese feeding on Strangford Lough and afterwards went for a walk into the woods. 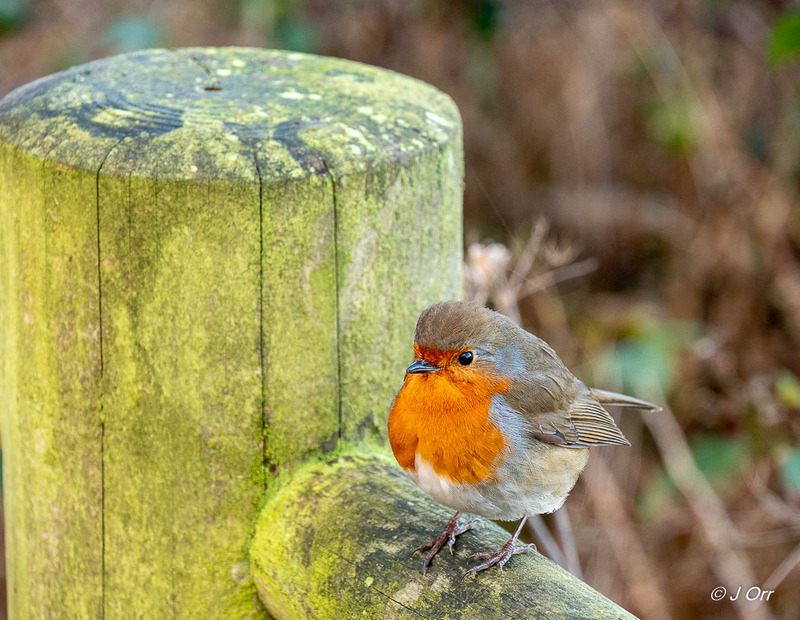 I stopped at the viewpoint that overlooks the centre when a Robin landed on the fence a few feet away. My cameras were in my bag and I thought if I reached for one it would take flight so I stood watching. It watched me back. After what seemed a long time, although it was probably less than a minute, I risked it and grabbed for my camera. The Robin hopped around on the fence, happy to be photographed. Things were going so well I even thought of erecting my tripod and trying for some video but I that would have been a step too far. 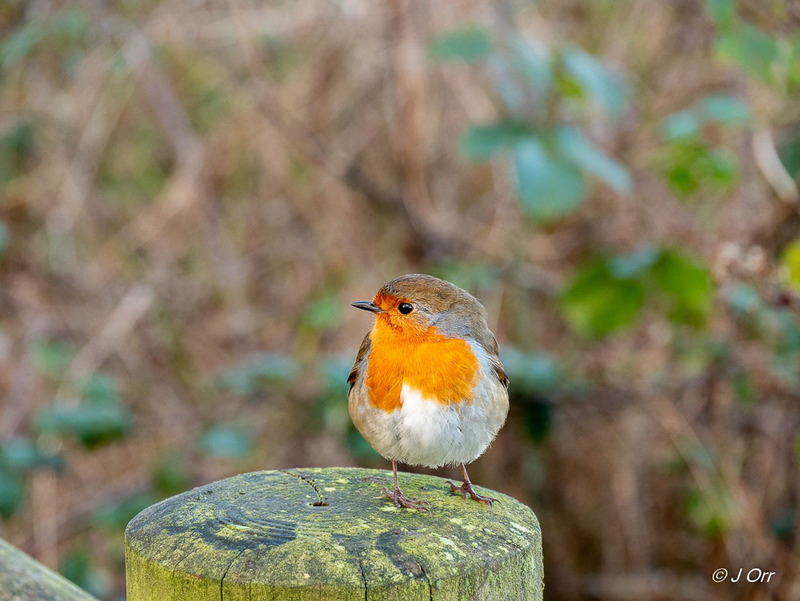 Later when I was processing the photographs I realised that the Robin probably expected me to give it food. Often when you stop to photograph wildfowl in Castle Espie they come close expecting food. 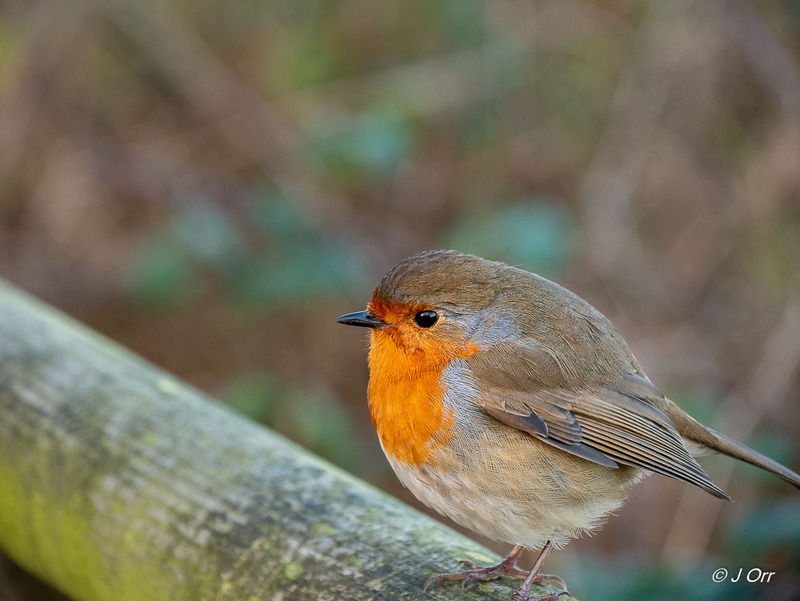 Why would a Robin be different? 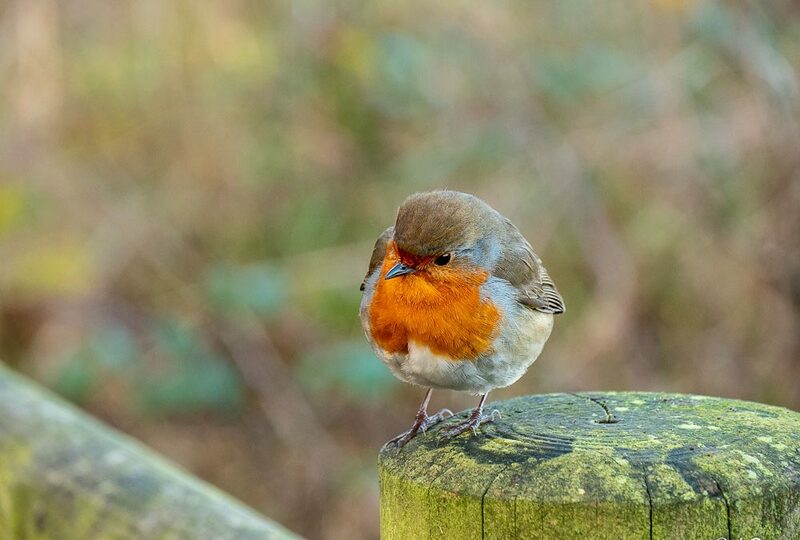 Indeed to my untrained eye this Robin does look fairly well fed. © 2019, J Orr. All rights reserved.